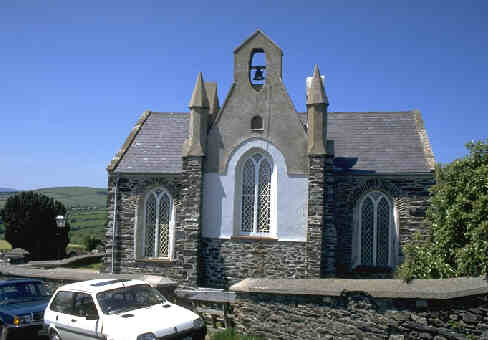 Parish dedicated to St Brendan. 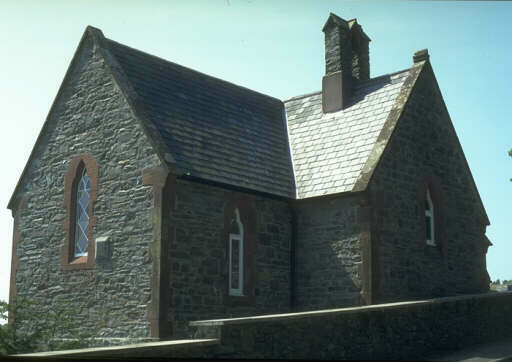 Built 1773 following presentations that the roof and gable of the previous church were unsafe and also after complaints that the previous church was too small. The received wisdom is that the old church was demolished and the new built from the reclaimed rubble though with quoins of Foxdale granite. However recent surveys by Mr F.Cowin have convinced him that although the east end was demolished and rebuilt and the tower added, the remaining walls are mostly the original dating from the twelfth century. Following the precedent of St Marks (b 1772) the four corners were marked by pinnacles. Unlike many other island churches it was probably never whitewashed. 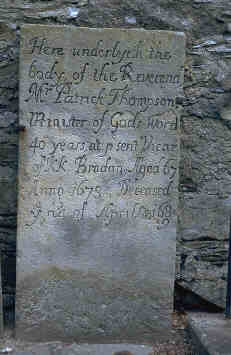 Interesting memorial to Rev Patrick Thompson who appears to have had his gravestone carved prior to his demise. By J. L. Pearson, 1876. Austere Early English. It looks very English in this wooded valley by the old church. 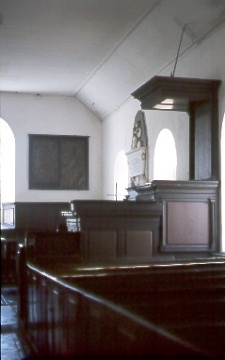 As in all Pearson's churches, the proportions are fine and the detail bold. 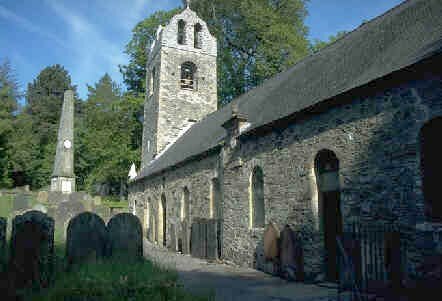 [JB] The land adjacent to the old church was given by Lady Laura Buchan and on it was erected a larger church "of sufficient dimensions to accommodate not less than 500 persons". A description is given in Manx Note Book vol II p 42. The authorising act also forbade the use of the new land, or the chancel, as a burial ground. 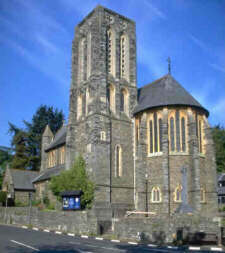 The old burial ground had already become full (it was formally closed in 1925) and a new cemetery on the Strang road a little distance from the church was established by the Braddan Burial Ground Act 1848. 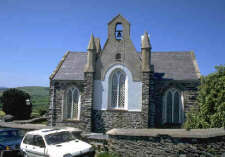 The parish has its own web-site giving details about services as well as useful links to Manx Church Law. An interesting letter on the state of the Old & New churches was published in Manx Church Magazine, 1893. 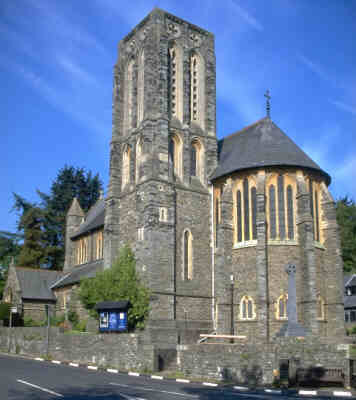 These started in 1856 by the Rev William Drury who was vicar for 40 years. They became very popular with upto 35,000 visitors attending during the holiday season. These were discontinued in 1987. A day school and Chapel of Ease opened in 1860. The day school closed end July 1892 with the opening of the new school at Kewaigue.